Oscar-winner Lupita Nyong’o may be the name above the title, but Danai Gurira’s gripping drama about the subjugated plight of women during the Liberian Civil War of a decade ago displays a brilliant ensemble of not just one but five powerhouse performances. The play is set in a shack inhabited by two kept women, the “wives” of a rebel commanding officer. So-called wife #1 (Saycon Sengbloh) is the elder of the two (and she’s all of 25), and runs the spartan house with no-nonsense authority. Girlish Wife #3 (Pascale Armand) is the comic relief character, pregnant with a child she’s sure she doesn’t want, and generally obsessed about the current state of her perpetually unruly hair. The two are protecting a young woman identified only as The Girl (Nyong’o), whom they are attempting to shelter beneath a rubber tub. Before long, though, The Girl’s presence is discovered, and she is duly raped and made part of the rotation of wives pleasing the c.o. They are eventually visited by Wife #2 (Zainab Jah) who used to share the hut but now sports military gear and a rifle slung around her shoulder. She’s rebelled against the subservient role and become a militant, but far from fighting on behalf of protecting these women, she supports the existing atrocities. In the second act, she recruits The Girl to take up arms. The fifth character, Rita (Akosua Busia), a peace-keeping delegate of sorts who is able to mingle freely with the women but, as we learn, has her own poignant story. Though the overall plot is grim, the narrative is ever absorbing, and there is a remarkable amount of levity despite all, such as The Girl entertaining the other wives by reading aloud to them in faltering English from a book about Bill Clinton to which the other ladies listen raptly as if following a soap opera. Lupita is far from the glamorous lady she appears on the back of the Playbill program, and completely believable as the simple young girl. Accents make some of the dialogue a little hard to comprehend, but the ear soon adjusts. Clint Ramos’ squalid shanty setting and African costumes are authentically vivid. Jen Schriever’s lighting and Broken Chord’s music and sound design contribute to a thoroughly immersive experience. 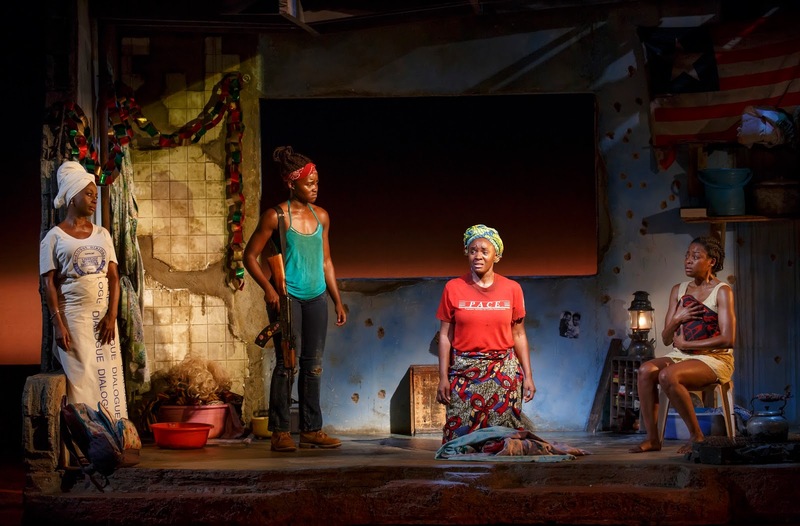 Gurira’s play is about 2 ½ hours including intermission and admittedly, the first act feels a tad long, though probably essential to emphasize the set routine these women endure day in and day out, while the second act certainly provides plenty of action after the claustrophobic confines of the first. 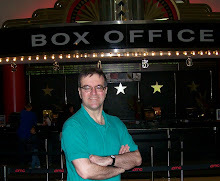 The production originated at The Public in October 2015. Director Liesl Tommy builds the requisite tension, and handles the difficult subject matter with utmost sensitivity.